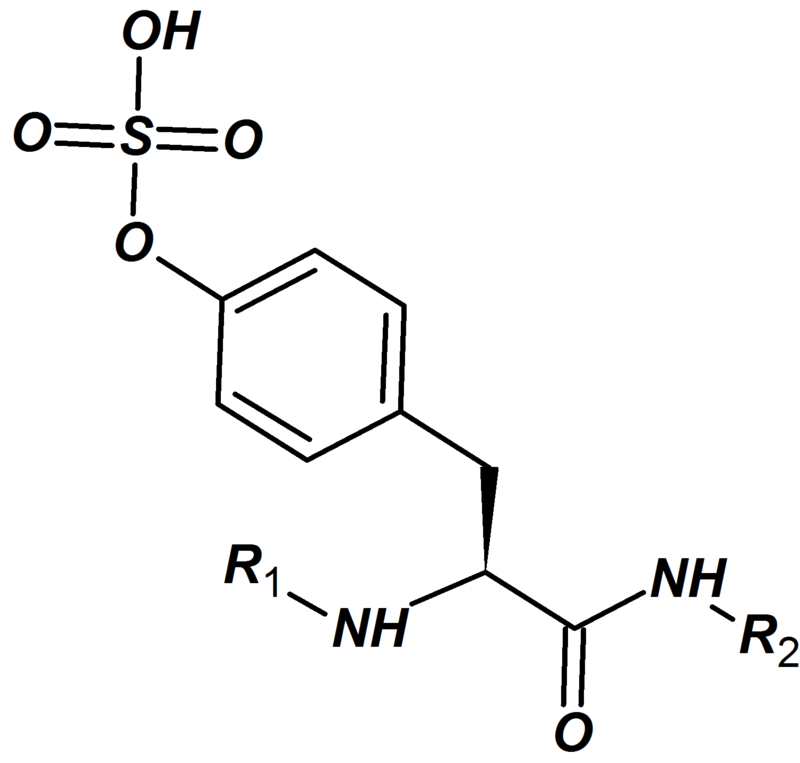 Tyrosine O-sulfation is a posttranslational protein modification that is known to have a widespread occurrence among proteins of multicellular eukaryotic organisms. It has been estimated that as much as 1% of an organism’s total proteins may be subjected to tyrosine sulfation. Studies on tyrosine-sulfated proteins have shown a major role for this PTM in enhancing protein-protein interactions, and it is found to be implicated in multiple biological processes. The efficient synthesis of sulfated peptides is technically challenging. 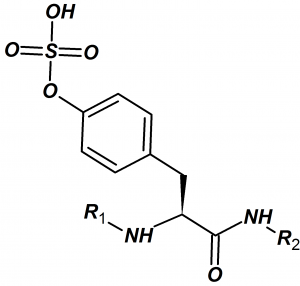 While tyrosine-sulfated peptides are stable under basic conditions, the sulfate is unstable under acidic conditions. Pepscan has been able to develop reliable and robust procedures for the synthesis of sulfated peptides. This guarantees high success rates for our customers, and we can therefore provide a broad range of tyrosine-sulfated peptides.